VetShopAustralia Wins Telstra People's Choice Award! 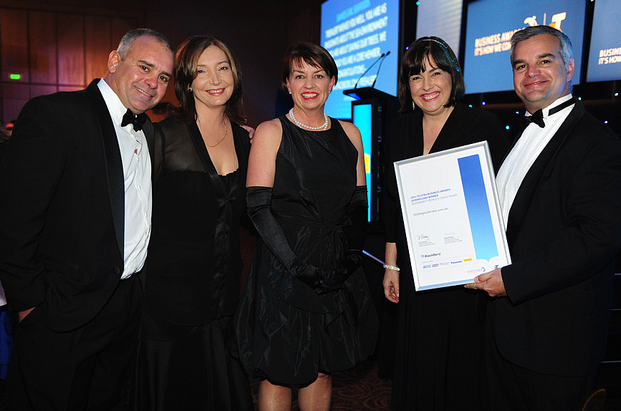 We're delighted to announce that last night VetShopAustralia won the Telstra People's Choice Award! Thank you so much to all who voted for us and of course, thank you to our wonderful staff, whose hard work made the win possible. Best of all, the award came with $2000 worth of prizes, and as promised, we'll be donating an equal amount to pet welfare charities chosen by our customers. Voting for who gets the money will take place on our facebook page, so if you haven't already, make sure you visit www.facebook.com/vetshopaustralia and "like" us. As well as the winning the People's Choice Awards, VetShopAustralia was also named one of the five finalists for the MYOB Small Business Award, and we congratulate the winner of that award, Flash Fotos form Maroochydore and all the other finalists. Well done VetShop people. Well deserved.